Today, you are a member of... Thug Life - You Are A Member! Just a reminder, Members, that back in the mid-1800s there were some tremendously wealthy people. People like John Astor, John Lenox, Samuel Tilden, and Andrew Carnegie. People for whom piles of cash just added up and added up until Mt. Olympus was dwarfed. And then those people died. But their money stayed on earth. 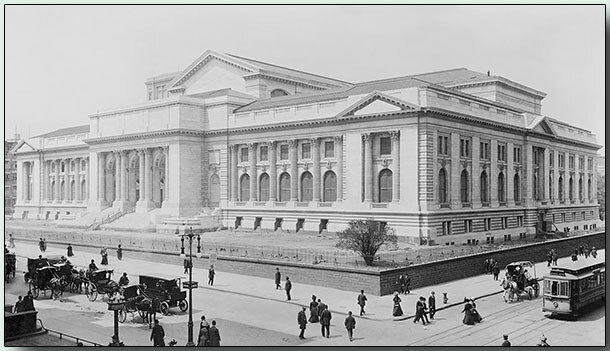 And due to wills and trusts and some oddball investment in a thing called civil duty (considering their business practices), giant portions of their ophaned money went to create the New York City Library, which was dedicated today in 1911 and had over 75 miles of shelves. So Members, this week, in true book thug fashion: read or die.